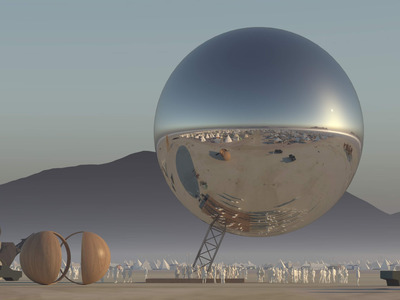 Danish architects Bjarke Ingels and Jakob Lange want to bring a giant orb to Burning Man later this month. Ingels and Lange have launched an Indiegogo fundraiser to crowdsource $US50,000 for the project, raising more than $US22,400 as of Wednesday afternoon. 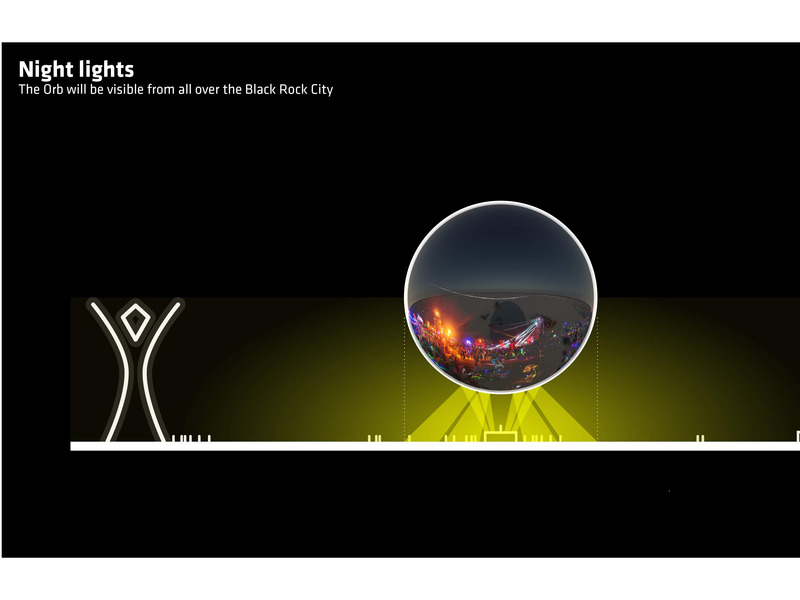 The Burning Man festival, an international spectacle that began as a bonfire among friends more than 30 years ago, is held in Nevada’s Black Rock Desert. More than 65,000 people gather each year to celebrate the counterculture event featuring surreal art installations , wild fashion , musical acts, and celebrity sightings . Lange and Ingels’ Orb, which reflects its surroundings like a mirror, is scaled to 1/500,000 of the Earth’s size. 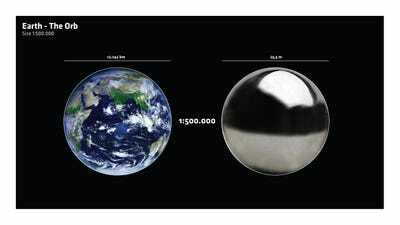 The Orb is nearly 100 feet in diameter. 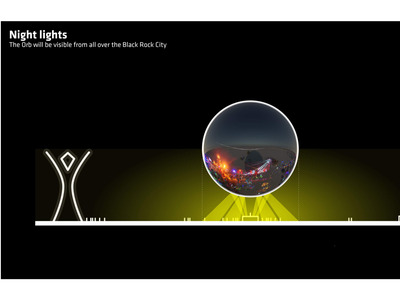 The Orb, which is visible from most of Black Rock City, is meant to help festival attendees navigate the desert. 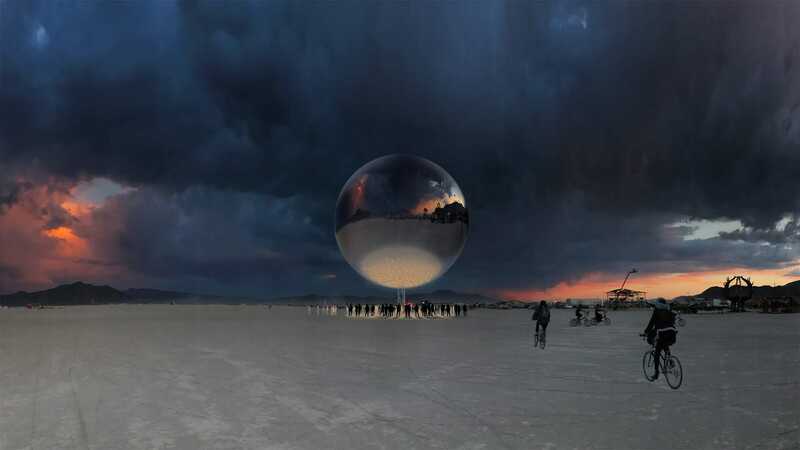 At night, the Orb will blend with the surrounding environment. 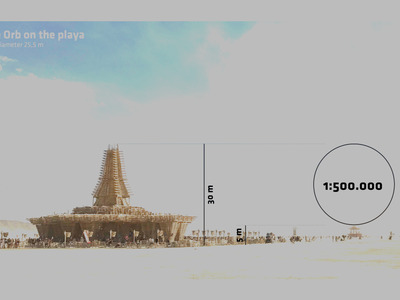 It has been designed to deflate easily after the festival ends, which adheres to a core Burning Man principle — leaving no trace. 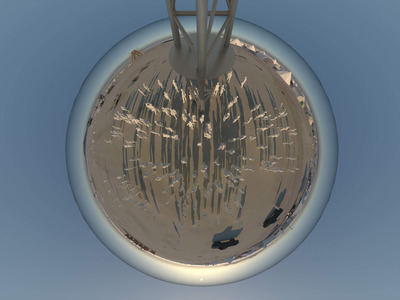 The Orb consists of five parts: a sphere, a 105-foot mast, a baseplate, foundation anchors, and installations like fans. In June, Ingels’ team shipped the Orb in five different containers to Nevada and began welding the steel. 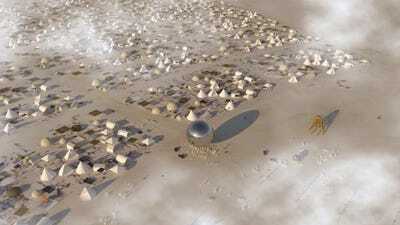 According to the fundraising page, the team spent 1,000 hours welding the structure and 1,500 hours sewing the sphere.